Last weekend I was invited to a birthday brunch and needed to bring something to share. After seeing the list was sweet-heavy on what everyone else was bringing, I decided on something savory. I wanted it to be portable, easy to make, and in individual servings (easier to photograph since I wouldn’t be taking pics at the party). It was surprisingly hard to find all of these requirements in one dish, plus add that the birthday girl doesn’t like peppers or onions. I succeeded with Sausage, Egg, Cheese, & Hash Brown Muffins! 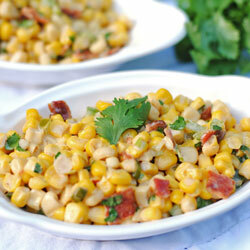 Individual servings of what you’d find in a typical breakfast casserole and easily adaptable to different tastes. Gosh these were incredible! I’m still watching my calories, but all that went out the window when I ate some. I mean you have to taste something you’re bringing to a party, right? The smell as they were baking was killing me. I had one hot out of the pan (which was hella hot, so I don’t recommend that!) and then I ended up cutting one in half for the photo so I had to eat that one, too. They are so stinkin’ good. 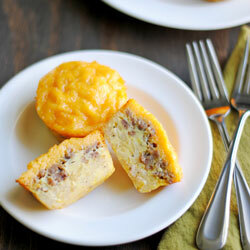 You really can’t go wrong when it’s a muffin with a hash brown base and covered in egg, sausage, and Cheddar cheese. Seriously my favorite breakfast food combo. It’s pretty easy to adapt this as well. Use bacon or ham or no meat at all. Add any veggie you like or change up the cheese. Endless possibilities! 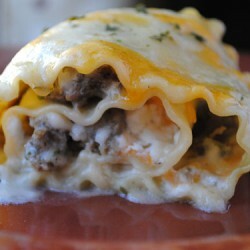 I adapted the original recipe and used crumbled sausage instead of chopping sausage links. I didn’t like the way the circles of sausage looked using the links. To make this easy, I cooked the sausage the night before and stored it in the fridge. I also bought refrigerated hash browns instead of frozen so I didn’t have to bother with thawing and the extra moisture. The original recipe calls for adding bell peppers and chives, which I think would blow my mind. I left those out since the birthday girl doesn’t like either. I think a sprinkling of chopped, green chives on the top would be a nice presentation, too. These were really easy to make the next morning since I already had my sausage cooked. Just remember to spray your muffin pan like crazy so they don’t stick! *Note: This is the base recipe. You can use bacon or ham or no meat. Add veggies, herbs, and spices to your liking. 1. In a bowl, combine hash browns, butter, salt, and pepper; divide evenly into 24 very well-greased muffin cups. 2. Press mixture onto sides and bottom of muffin cups. 3. Bake at 400F for 12-15 minutes or until lightly browned. Remove from oven, divide sausage crumbles into muffin cups. 4. In a bowl, combine eggs and cheese. Spoon mixture evenly into muffin cups. Return to oven, bake 13-15 minutes or until set. *Note: It was easier for me to do steps 1 and 4 in two separate bowls. Measure half the ingredients in one bowl, the other in another bowl. Much easier to combine with not so much food in the bowl. What a perfect dish to bring to a bunch! I love how easy this is! And I love the sausage and hashbrowns in here, too. 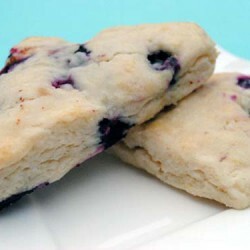 Most muffins don’t call for the hashbrowns, so the addition is wonderful! Thanks, Gayle! I loved the hash browns in this. Made them a little more special than just egg muffins. I love these! It’s like a breakfast cupcake full of all my favorite things! 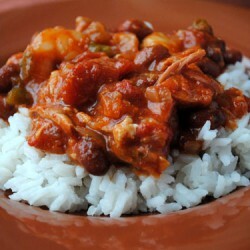 I bet I could make a batch of these, then reheat them thru the week and eat them as I’m headed out the door. Ha, ha! I totally should have called them cupcakes instead of muffins! I didn’t freeze any, but I bet they’d freeze really well. You could keep the freezer stocked! What a great idea. I have to show this recipe to my husband. He will love it cause he just adore all the ingredients you used. I love that you have added the potato in to these. 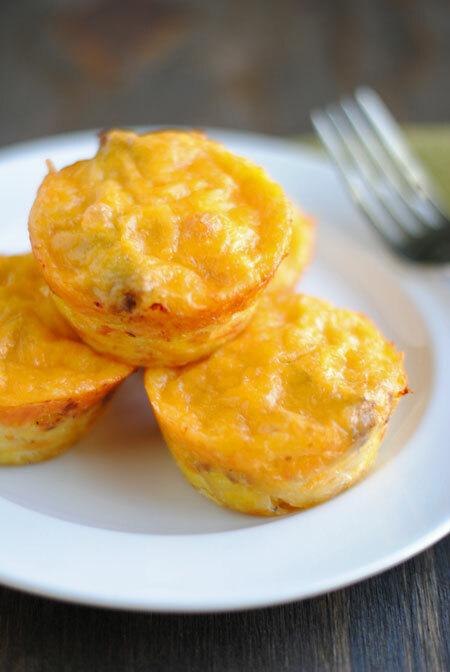 I make egg muffins, are they are a great quick breakfast, but not thought to add potato to it. Great idea! YES!!! I’m totally making these this weekend! Thanks, boo! Totally should have made more to have this weekend myself! these look delish. would be perfect for on-the-go breakfasts! I’ve been looking for quick and tasty breakfast ideas and these look perfect!! I need to make a bunch of these and have them on hand to just heat up quickly in the morning, I can’t wait to make these! And, adding hashbrowns to them is genius! Thanks, Isadora! I never thought about freezing them to have all week, but I bet they’d work great. Breakfast made easy! This totally looks like the perfect thing to bring to a brunch – I can see how they would disappear in no time :). I am all over the cheese – they look seriously amazing! These muffins are the perfect morning comfort food! What a great idea for brunch. I wish I was there because I would eat more then one of these. These look amazing…and totally dangerous! I could see myself eating like 8 of them before lunch hit. I mean a hash brown base? I’m seriously drooling! These would be awesome for breakfast. Who am I kidding? They’d be awesome all the time! 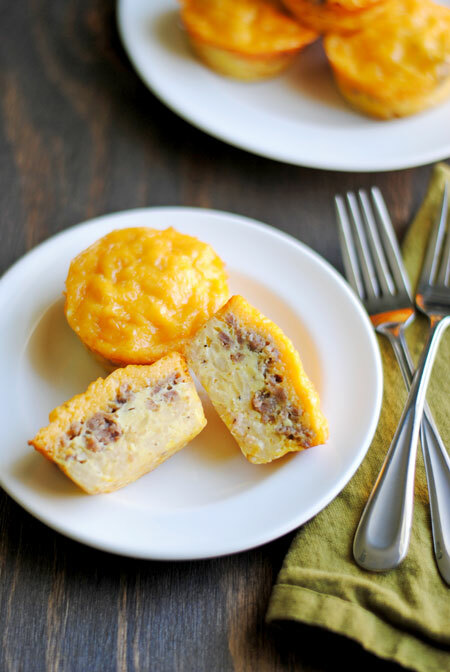 I loooove a breakfast casserole, so I know I’d love these adorable muffiny versions. How cute! And great for a brunch party. Bookmarked!